Some foreign media coverage of key Civil War events. | Come Here To Me! « In Glasnevin Cemetery, a man is spinning. Some foreign media coverage of key Civil War events. 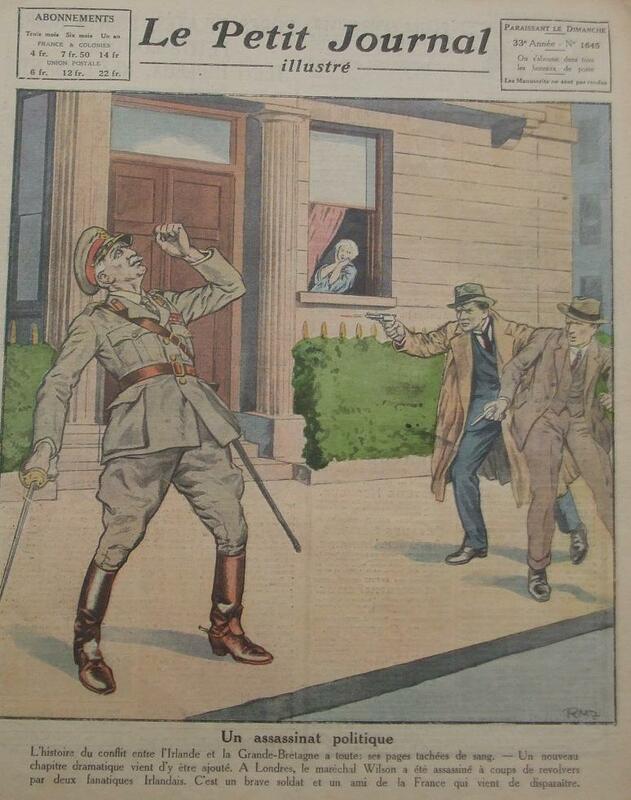 This is a fantastic illustration from ‘Le Petit Journal’ showing the assassination of Sir Henry Wilson by Irish republicans in London, an event which would ultimately lead to the Free State moving in against republicans occupying the Four Courts premises in Dublin. Henry Wilson was assassinated in London on the June 22 1922, only hours after unveiling the Great Eastern Railway war memorial at Liverpool Street Station in London. Reginald Dunne and Joseph O’Sullivan were the two London volunteers responsible for Wilson’s death. O’Sullivan had lost a leg at Ypres in 1917 fighting for King and Country, while Dunne had also seen service in the Great War with the Irish Guards. 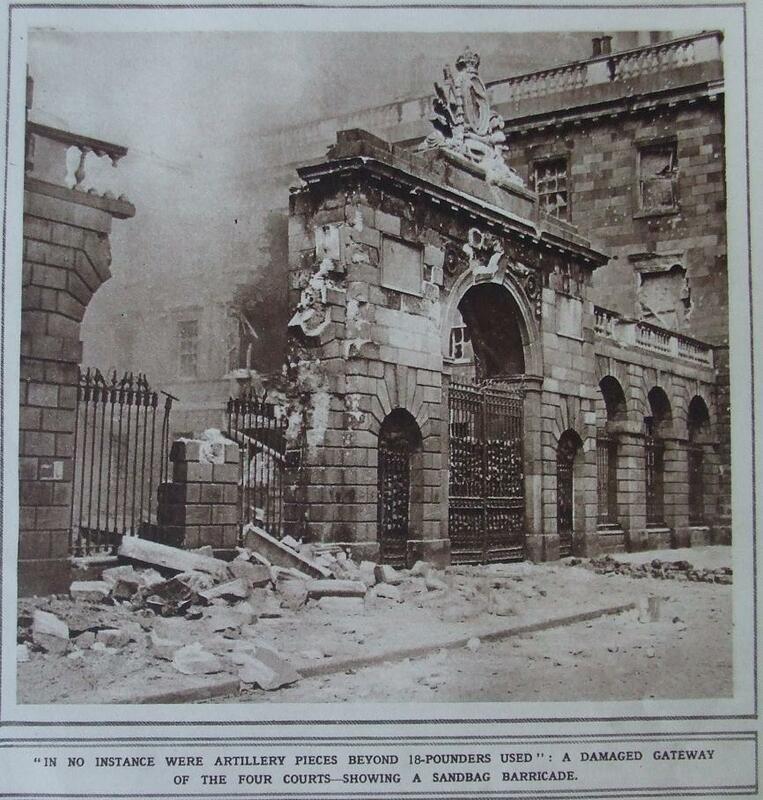 Wilson was assassinated on his own door step, only hours after unveiling a memorial to those who died in the Great War, by two of its veterans. The men were hanged at Wandsworth Prison on August 10th 1922. In August of 1929 a memorial was erected at Dean’s Grange Cemetery to Dunne and O’Sullivan, at a ceremony attended by over 500 people. In July 1967 the bodies of the two Volunteers were buried in Dublin in Dean’s Grange, following years of campaigning by the National Graves Association. 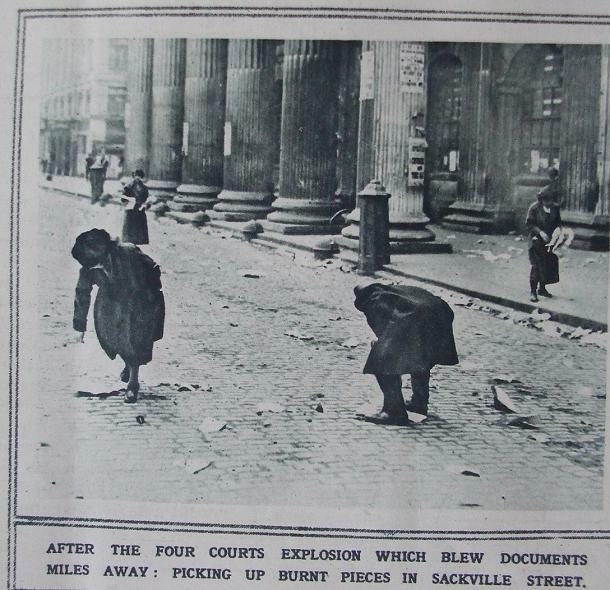 The attack on the Four Courts by the Free State attracted huge international media attention, and the images below come from the London Illustrated News of July 8 1922. 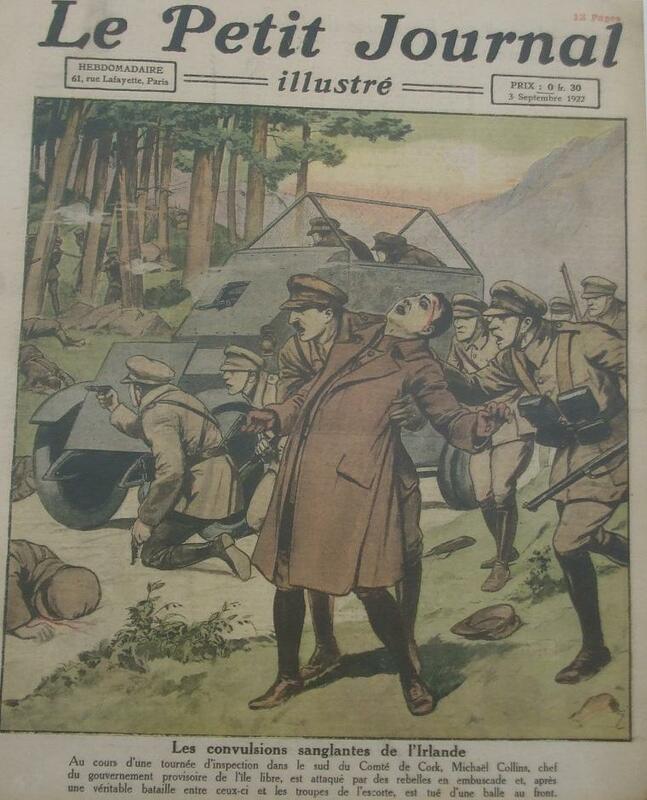 The execution of Henry Wilson was not the only Irish interest story to make the front page of the Le Petit Journal. Below is their take on the execution of Michael Collins at Béal na mBláth. The shooting of Henry Wilson is covered on Put another nickel in the machine.co.uk a website similar to your own with the subject being London,it cannot be praised highly enough.Under the heading of Camden look up the Jim Reevs story, those were wild times indeed.I would be grateful if anyone else could recommend sites like the above where you end up reading every post going back years as you will if you look in.I know of one other and will post it if I get a reply to this.